The Question Mark Creative Challenge! Join in this dynamic Drawing event, part of Big Draw 2014. An exciting project involving schools, children in arts groups in the UK and globally. 23 October-2 November Global participation. Berkshire Primary schools are invited to take part in this drawing challenge. Children aged 7-11 will make drawings based on the challenge. All Primary schools in Berkshire and surrounds are invited to register (Deadline 3 October). An A3 sheet printed with guidelines and a template of a question mark doodle plus a Derwent 'Inktense' pencil supplied to be used for drawings. Drawings are created starting with a question mark doodle printed on a sheet. · Project will happen during school time 23-23 October, 30 minutes allowed for drawing. Big Draw 2014's theme is Our World, the challenge use the subthemes to add guidance. Living things found in the sea, sky and land. Things with wings, flippers, beaks, claws and paws. Bees, bugs, butterflies, mini beasts, creepy crawlies. Weird and wonderful: Pretty Pattern, Portrait, Profile, Prototype, Peculiar Invention - Your choice. Exhibitions: Drawings shown at Windsor Contemporary Art Fair and Norden Farm Arts Centre. Prints, a Publication and an Animation project. FREE dedicated arts sessions offered for KS2 teachers for all participating local schools. Second Option: Let's Draw at Craft Coop on 25 October 10-3pm.Part of the Families Festival and Big Draw. Everyone welcome to make Question mark related drawings on sheets and large boards to be documented. Drop in and join in creating a visual outcome en masse. 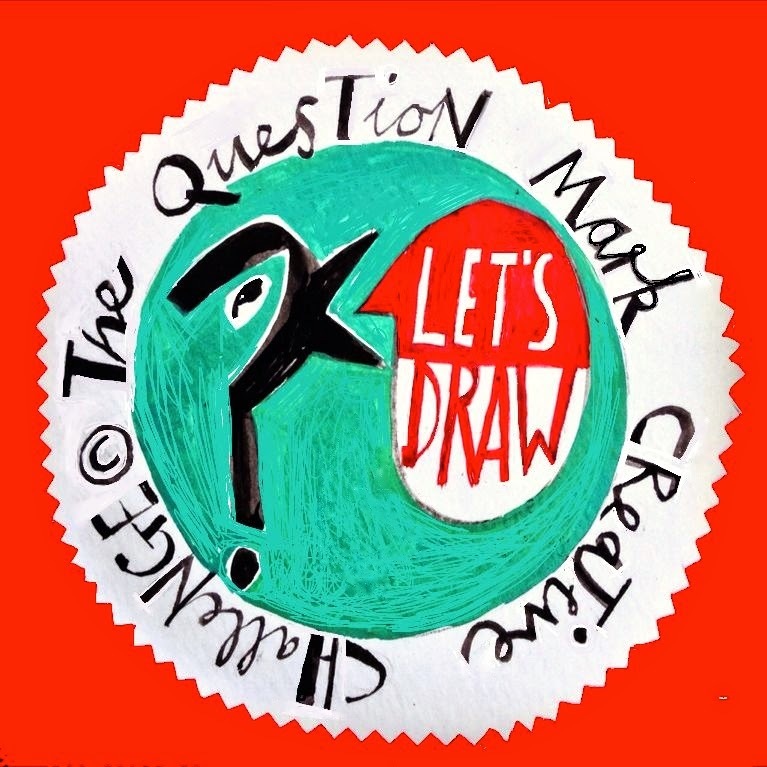 Involving youth art groups, schools an anyone aged 4-14 anywhere to create drawings by either downloading the Questionmark guide sheet or alternatively improvise and make a question mark inspired drawing relating to Our World. Dates: 23 October and 2 November. Share Drawings via Instagram #?uestionmarkchallenge to be added to blog later, or used in Norden farm exhibition slide show. To be part of this event please email este@estemacleod.com for detailed info, or leave a message below. *This project is an Este MacLeod Creative Incentive*.